I began this painting in Norman Rockwell's famous studio near Arlington, Vermont. Many charming New England cottages made their way into St. Nicholas Circle. 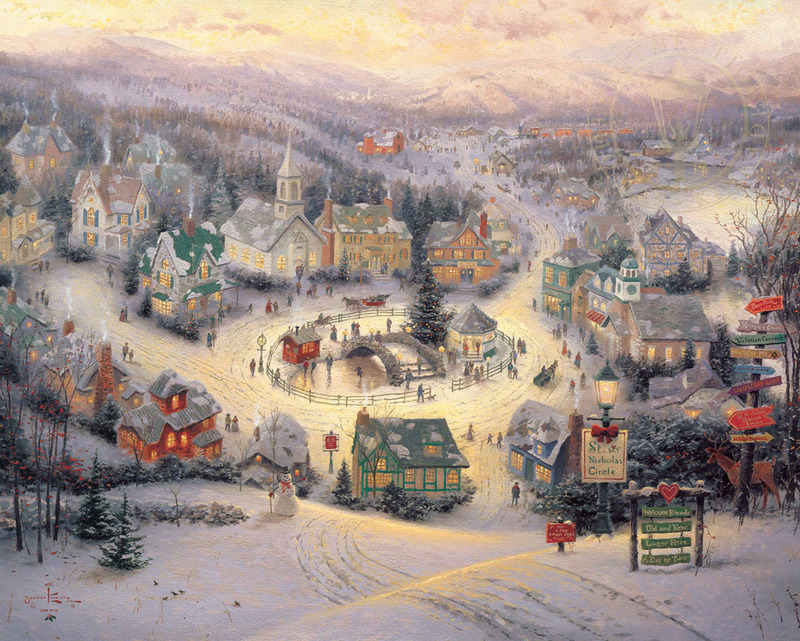 In this idyllic spot time stands still, and it's Christmas all year 'round.